Sid, you got no game for me! First off, this statement is not meant to mock anyone who ably started this ride and didn't make it. Frankly, they are probably smarter than I am, or at least haven't run into the kind of things that I have. As Krakens go, Sid wasn't that hard. No one wound up in the hospital - I've seen that more than enough times in my time! Also, no one wound up crashed on the side of the road in a downpour. 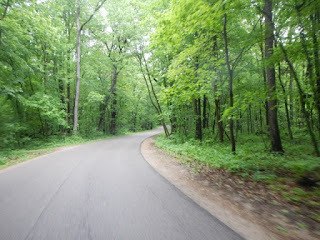 The Great Lakes Randonneurs have great routes which are varied and challenging. That is the reason I love them so much. Even though I had no business doing a second 400k after the 400k the previous week and the 1200k the week before that, I simply couldn't say no to this ride. Sure Sid was already on the radar, but no way was he getting in the way of Wisconsin in the spring. This was THE ride for a flower lover like me. After years of riding in it, the rain doesn't phaze me in the least. 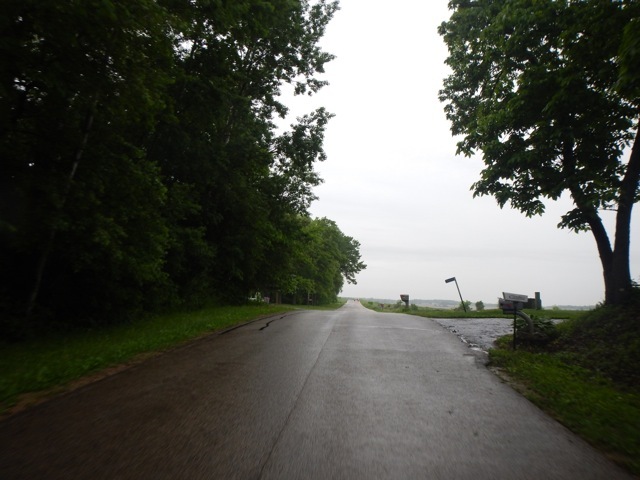 If you are ever going to do a 1200k, rain is in your future so may as well like it. 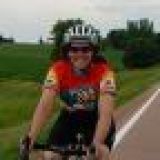 And I got an email from SpinBob saying he wanted a nice relaxing ride for his PBP qualifier and not one whose speed was negotiated by that other male body part. IronK also came to the ride! This will hopefully be happening more often in the future since she has family in the area and we really do enjoy them. Especially Aunt Evie, who at 95 is as spry as ever. Of course, the Summer Knight with his impressive metal fenders wasn't back together, so the fenderless Princess was steed of the day. But I really didn't find that to be all that bad either. I wax philosophical on the weather. I arrived the night before to do my registration and get my card. Somehow, everyone thought I was doing the 600k since most were. The 400k and 600k are the same route for the first 400k. Despite preregistration and me saying so, I still wound up with the wrong card. If it was a sign from the universe, this time I was having none of it. 400k was all I had time for. 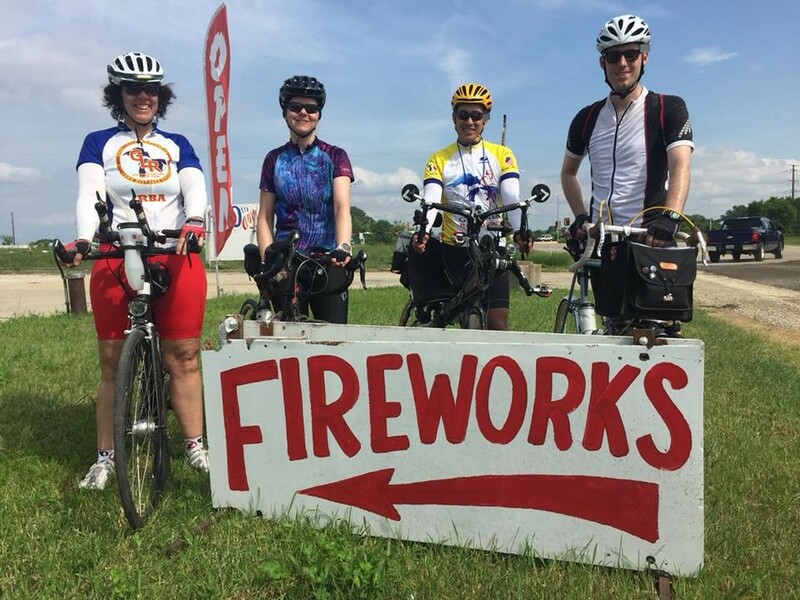 There were also some other friendly faces at the start in the from Paul, who I finished PBP with in 2011 and Cindy, who I rode with in North Carolina. Also Dave, with whom I completed the 600k last year on the same course. The forecast went from dire to not so bad in the days before the ride. The start was one of those gentle rains at about 65 degrees that I really like. It makes everything seem even greener than normal. 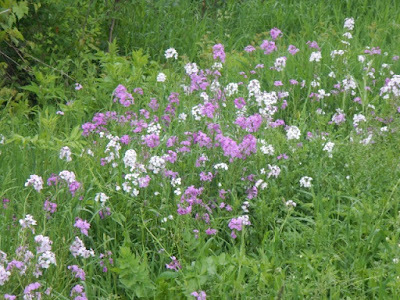 The locust trees were in bloom as were the phlox. I really like phlox and you could see just about every color there was poking out of ditches, around trees and clustered at signs. The rain was accompanied by a gentle tailwind and ended just before the first control at Edgerton. Then it ended and the tail continued pushing us along. 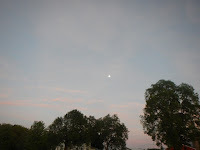 The warm temperatures and the light wind made the cloudy day more ethereal than depressing and we were moving! Just before Stoughton, Sid showed up with a Big Bang. 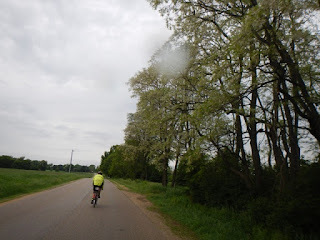 We pedaled on through the rain enjoying the big tailwind. 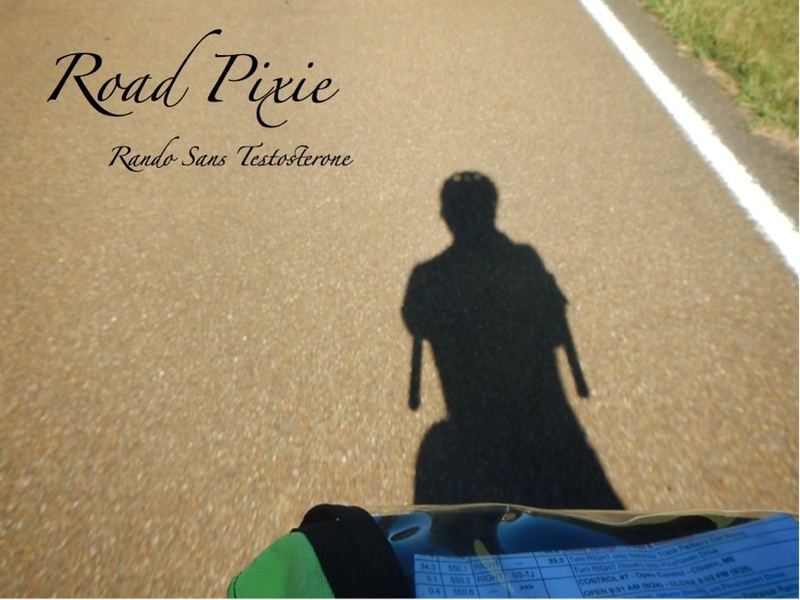 The route became more rolling and I had a rice cake and a sandwich in Verona. Many riders who I typically think of as fast, we're having a lazier day and probably a good idea not to push hard. Most were on the 600k after all. 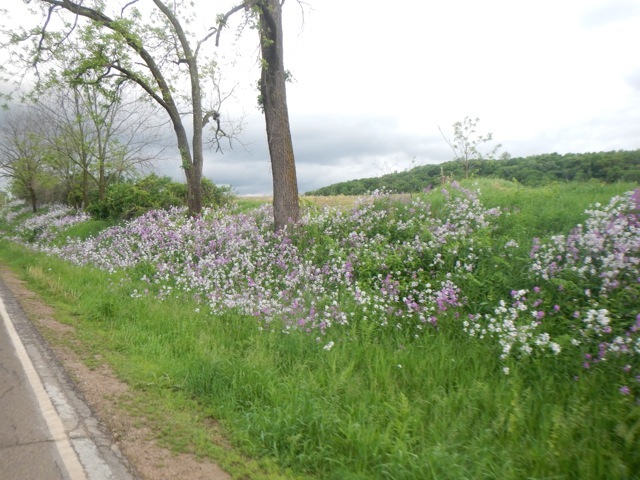 We blew through Verona quickly and left as the rain ended again on the progressively hillier course towards Sauk City. 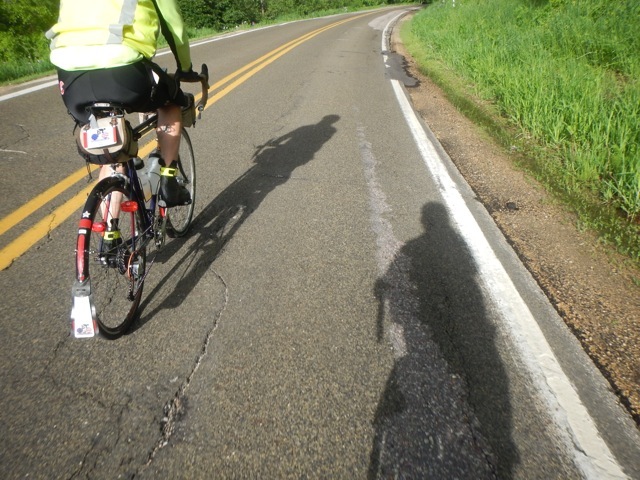 We were riding with Alex, who had completed brevet week in Iowa a week and half earlier. He and I apparently have a similar pechant for pretty rides (or epic pain, you be the judge). The rain came back again as we approached Sauk City. The final climb over the ridge to Sauk is a personal favorite. I love the way the trees hang over the road and the flowers poke out onto the asphalt like fairies gazing at their reflections in a pond. Today did not disappoint! 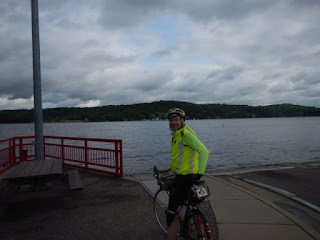 As we pulled into Sauk City there were a large number of bicycles already at Kwik Trip. The rain was coming down steadily at this point. I was a little cold and had a tub of macaroni and cheese along with some whole milk (thank you divine being who spared me from lactose intolerance). Bob and I made a quick stop of it, but wound up pulling over to put on arm warmers. We still had that tailwind but the low 50s is the low 50s. Well worth the time it took. 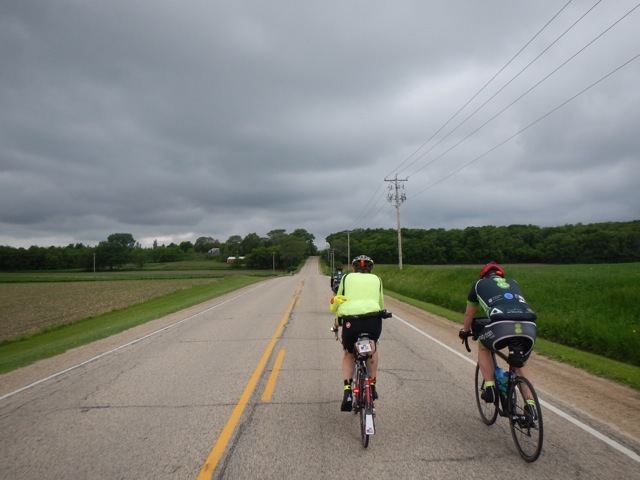 As we came out of Sauk City, the rain receded and finally died out as we went up and down the rollers through farmlands, now even greener than before. The corn crop was going to love this day. The cooler temperatures make the increasing climbing not so bad and the hills did a lot to block the now cross wind. Now I had long fingered gloves on which make it harder to eat out of my bag. Oh well, the flowers continued to delight. In my mind, the highlight of the 400k is the assault of the Baraboo bluff on Freedom Road. 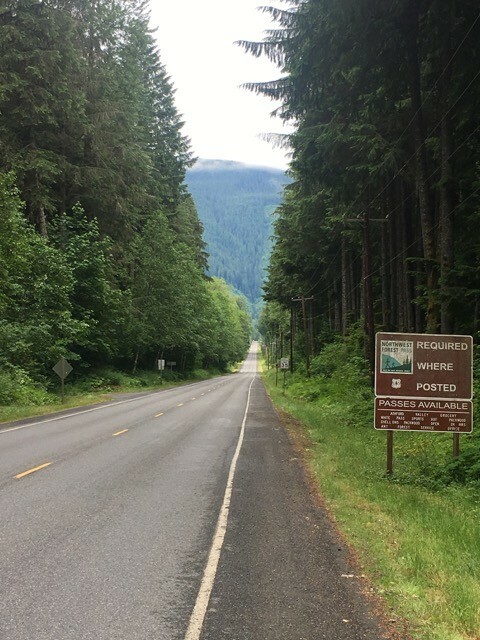 It's a three stage climb, sure it's steep, but there are very cool looking old log cabins and the whole thing has the feeling of a time warp. I really like it despite the double digit grade. The rain had ended and the pavement was dry as we climbed up. 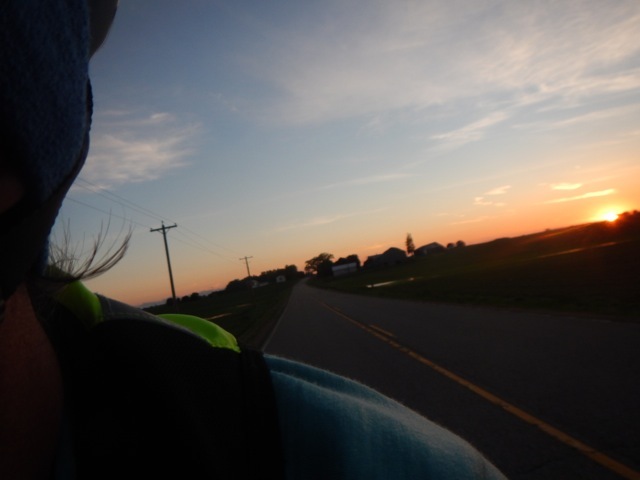 I had to drop back after another rider came up and slowly ascended in front of me with his red blinky going at a pulse of about heartbeat rate. That always puts me right to sleep and I wound up staring at my wheel and slowing until he was out of sight. But the climb was great and so was the descent! We rolled through Baraboo to the 20 mile mark literally on the same pace as I had been on last year. So long Sid, your time has past. I expected to see many at the control, but the hordes had opted to visit a laundromat instead to dry clothes. I had foreseen the rain and worn a bunch of wool so I saw no reason to dry off. We had a quick bite and left quickly. A few came in as we left, including Dawn, who had recently purchased Bob's Rivendell Rambouillet. She had a great looking white showers pass jacket on. Very visible and I like visible. almost deserted for once. It's truly spectacular and on any other day would have been packed. Today, we almost have it to ourselves! No rain and the clouds are just starting to lift! 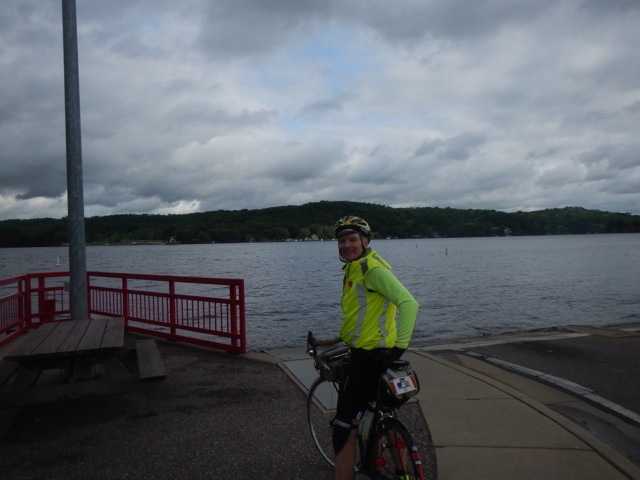 Next stop is the Merrimac Ferry. The town of Merrimac has steadily voted down a bridge across Lake Wisconsin in favor of their ferry which on a hot day has ice cream for sale at the dock. The ride takes about 5-10 minutes and the sun is now poking through the clouds. Still in the 50s but it warms a little and we finally see shadows as we cross rollers on the way to Lodi. This really brings the flowers out and I can't help but take pictures. We roll into Lodi around 6:30 pm. Bob sits down and eats, and I have some watermelon and potato chips and use the time to put on a wool shirt and the rest of my clothes and to stash the raincoat finally. A few come in behind us, but we leave with Alex in short order. The final climb out of Lodi is a series of big rollers and the sun is behind us, the sky clearing rapidly as the golden hour approaches. With a northeast wind, we have a bit in our face, but the wind has calmed dramatically since the afternoon when it was such a help. I completely dry out except for my shoes. I even pulled out my raincoat and wore it to dry it off in the sun. Many don't like this section, but I enjoy the big, green, open fields. 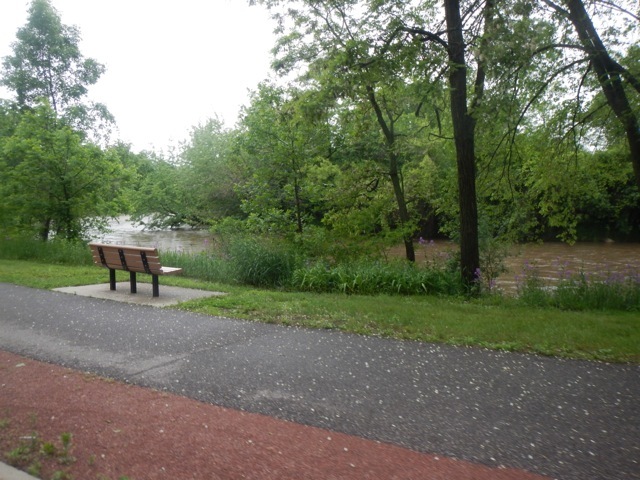 It's a fun contrast to the forests and wetlands of the previous 40 miles. I take quite few pictures here of old barns and a fantastic sunset as we roll into Columbus, only 79 miles left. At Columbus, we enter the control and the first thing I see is an abandoned cue sheet with a pair of long finger gloves still on top of it. It's really the first hint I have that others might not have my appreciation of the rain. I wish I had eaten more here, but I made a valiant attempt. I also realized that I had forgotten caffeine tablets and, not wanting to aggravate my stomach with HFCS, I tried buying some. Seems that caffeine tablets are out of favor at truck stops and I wound up with some kind of caffeine plus Chinese herb capsule. I'm going to have to find out what was in them that did not work. They didn't keep me up at all and instead seemed to make me not want to eat anything. Not really a good thing. Temperatures plummeted with the sun and by the time we left, it was in the low 40s heading for the 30s. My 10 year old tights were just barely adequate with rain legs and I realized replacing them was in the near future. 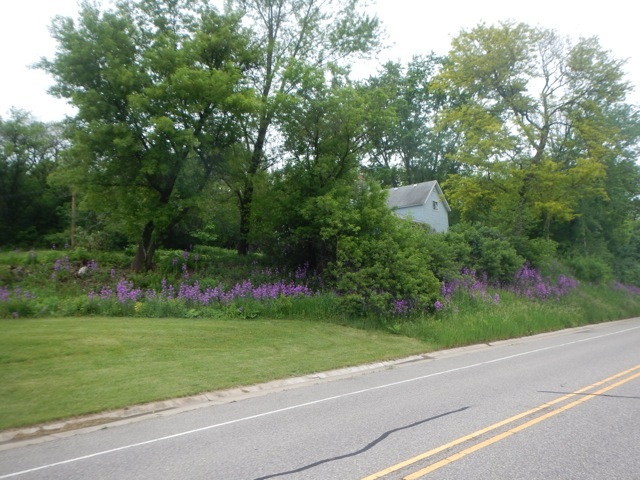 When I get cold, I tend to get sleepy and by the time we hit Lake Mills, I was dozy and tried eating all kinds of sugar to wake up, but things seemed very unappetizing - even fresh cinnamon rolls....we wound up stopping for a brief nap on the side of the road an hour later. 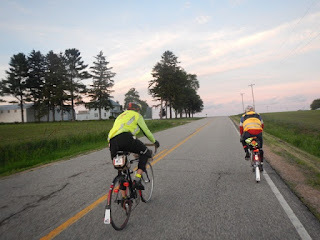 At this point, we were leapfrogging with the Danhaus tandem and some others. At the final control at Whitewater, I got some chocolate milk down and a few potato chips, but nothing else. 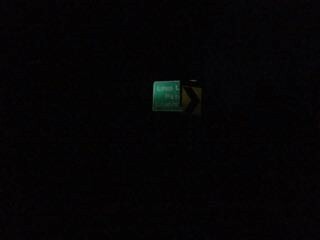 Only 18 miles left. The three of us, now joined by a third 400k rider, Woody, all left and I could not stay awake. I tried all my usual tricks and even resorted to punching myself in the face. Geez, what was in that stuff? Alex finally gave me a Starbucks coffee drink and I pepped up immediately to finish the ride at about 18 mph. We rolled in at 4:41. Nearly the same time as last year. I don't usually bother, but I got an email from Bob a few days later thanking me for such an epic ride. I went and looked and the overall DNF rate for this was about 30% for both the 600k and 400k. This somewhat surprises me, but maybe it's just the comparison to rides like the Gold Rush, 50 degree pouring rain all night in the mountains, or to the Titanic 400k in Arizona - 30 to 50 mph headwinds for 125 miles. Or maybe I burned up part of my amygdala in Florida. Either way, I'll be back in 2 weeks for the 600k with Lisa and she can be the judge.